The milpa is an agricultural traditional system of production, characterized by the simultaneous cultivation of multiple crops, in a smart combination that assures the maintenance of soil fertility, and hence the sustainability of the system, providing a healthy diet for the people that uses it. It constitutes a dynamic space of genetic resources; its main species is corn, accompanied of diverse species of beans, pumpkin and other crops. For example, the combination of corn-bean-pumpkin is known as “the three sisters”; however, depending on the region, different crops can be used, accounting up to 200 species registered in the milpa systems. The milpa has its origins in America since pre-Hispanic times and has prevailed among small producers, mainly indigenous people, up to modern times. To present, in the framework of the XI International Symposium of Genetic Resources for the Americas and the Caribbean, a space dedicated to show the expressions of the milpa system in the Americas, using different tools for dissemination such as: talks, videos, graphic elements and living materials exposed. Researchers and producers coming from different parts of Mexico and even from the province of Quebec in Canada, will explain through the media mentioned before, the specific characteristics of each production system. 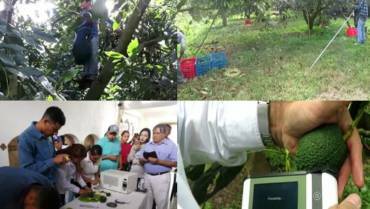 In this event the participants were: Dr. José Alfonso Aguirre Gómez, who is a researcher in Genetic Resources of the Bajío Experimental Station of the National Forestry, Crops and Livestock Research Institute (INIFAP) . Dr. José Alfonso Aguirre Gómez along with four producers (Juan Luna Guerrero, Aldis Gerber, Lucio González Ramirez and José Luis Torres Mendieta) also participated in the event.. This event was also attended by Dr. Robert Bye, who is a researcher at the Institute of Biology of the National Autonomous University of Mexico (UNAM). The political scientist and a Lawyer, José Salvador Rivera Chávez, who is a member and founder of producers’ organizations: Escuelas Campesinas Revolución del Sur, S. C. and Productores Hijos del MAIS Morelos, S.P.R. of R.L. also participated in this event. Also, Ms. Terrylyn Brant of Canada and Mr. Arnulfo Escalante Miguel, who is a farmer who works with “the system Milpa” in the Southern of Chiapas in collaboration with M.C. Miguel Grajales Solís, researcher at the Rosario Izapa Experimental Station of the INIFAP also participated in this side event. In addition, M.C. Flavio Aragón Cuevas, Researcher of the Valles Centrales Experimental Station of the INIFAP in Oaxaca also participated in this event. On the stage, several screens were mounted with several large photographs of plants and seeds of corn, squash and beans, which are the main crops of “La Milpa” or “The Three Sisters” as they are known in Canada. In addition, also tables and tables with steps for display were placed. On the stage of “La Milpa” there was also a projector and a screen to be able to present videos and presentations that led the participants. It also had speakers and a microphone with the purpose that the assistants could listen to the speakers in a better way. This day began the activities in the Parallel Event “La Milpa”. Each researcher and each farmer made a presentation explaining their ways, as well as application about of the knowledge in the production system “La Milpa”. Firstly Dr. José Alfonso Aguirre Gómez with his team of four farmers presented the lecture “Sustainable Production Model for Rainfed Agriculture” where Dr. Gómez gave some background information about the work that he does with the farmers in four main axes that are education, family, organic fertilization and seed production. After that, Dr. Aguirre open the floor to the farmers, so that they gave the explanation about of what they work in this model. In this lecture, the four producers used flipcharts previously printed with the explanation of their subjects. The first to participate was Mr. Lucio González Ramírez who spoke about the formal and informal education and to whom the education is provided, by working with the production model and how it is possible to transfer the knowledge. A second farme, Mr. Aldis Gerber, then spoke about the importance of the knowledge he acquired to make his production system more productive, as well as the values that should not be lost in order to work as a team. Then Mr. José Luis Torres Mendieta spoke about organic fertilization and how the theoretical and practical knowledge that he has received from the researchers in the production model, has helped him to increase his yields besides making a more sustainable use of the soil and the environment. The last to participate in this team was Mr. Juan Luna Guerrero who talked about how he selects his plants in the field to obtain seeds in each cycle, applying basic knowledge of seed selection, which has also contributed to the in situ conservation of the native maize produced in the Apaseo el Grande region, in Guanajuato State. Mr. Luna also explained how he does the conservation of his seeds, using a low cost metal silo and pet botles, mentioning that with these systems, he keeps his seeds clean, dry and free from insect attack. Following the previous team, Dr. Amanda Gálvez Mariscal, spoke about the “Milpa” system, mentioning that besides corn, pumpkin and beans in the production system “La Milpa”, tomatillos (Physalis spp.) chelites and other crops can be found. Also, Dr. Gálvez highlighted the economic and nutritional importance of the crops of the “Milpa” system in the diet of Mexicans. Finally, Dr. Gálvez presented and explained several slides related to crops that are important from a nutritional point of view and are consumed in Mexico. Ms. Terrylyn Brant, who is a farmer of the “Milpa system” in Canada, ´presented a lecture where she explained how the species cultivated in the Milpa system are of great importance for food and religion, in her community. She also explained how the crops are produced in their community and how they also keep their seeds. Ms. Terrylyn Brant had a very active participation in the presentations of herself and all participants, either by asking questions or by complementing their comments. Finally, Ms. Brant emphasized that religious rituals and ceremonies in the traditional production systems, should be respected and should not be forgotten. Dr. Robert Bye presented the theme “Managing the milpa Rarámuri – a forecast to anticipate scarcity” (Chihuahua, Mexico). Dr. Robert Bye spoke about the importance of the production system “La Milpa in Mexico”, but especially the one that takes place with the Rarámuri indigenous group of the State of Chihuahua. Dr. Bye mentioned how farmers, women and men, produce corn, bean and pumpkin. The highlighted the preparation of pumpkin food in the form of preserves, which they use in the time of scarcity, during the winter. Dr. Bye also had a broad participation, interacting with the other participants making complementary comments on “La Milpa” system. The last speaker of the day was Mr. José Salvador Rivera Chávez who presented the lecture “Traditional milpa: Productive model for the rescue of the social cohesion of the local biodiversity”. In this lecture, Mr. Jose Salvador Rivera spoke about how his role in the “la Milpa” production system as a producer himself and, also about his participation in the social sector. In the latter, he has contributed to the organization of dozens of productive and non-profit organizations, such as Escuelas Campesinas Revolución del Sur and the Rural Production Association Hijos del MAIS. He also explained that in these organizations, the farmers are avoiding the use of chemical fertilizers, trying to achieve an organic farming system. Finally, he mentioned that they also produce their seeds for the following cycle, creating community banks. Just like Ms. Brant, Mr. Rivera also agreed that religious ceremonies in the traditional agricultural systems, should be respected and preserved. In addition to his talk, Dr. Aguirre and his team showed several samples of native maize of various colors such as black, purple, blue, white and yellow. They also exposed some samples of residues of maize, beans and weed plants, which incorporate the soil as organic fertilizers. They showed a sample of metal silo and plastic bottles of 5 L used for the conservation of maize seeds. For his part, Dr. Rober Bye presented some samples of preserved pumpkin made by the Rarámuri people, as well as samples of “pinole” (roasted and ground maize, cinnamon and sugar, also produced by the rarámuris). He also presented some brochures related to the production system “La Milpa” in the SierraTarahumara in Chihuahua State, as well as pamphlets related to the production of chelites used for human consumption in the Northern of Mexico. He also carried several videos related to the traditional rarámuri agriculture, some which were given away to members of the audiance. Mr. Flavio Aragon Cuevas presented samples of various landraces of maize from Oaxaca, showing different colors such as black, blue, purple, white and yellow. Also, samples of ayocote bean (Phaseolus coccineus) and common bean (Phaseolus vulgaris), as well as some samples of pumpkin seeds, produced in Oaxaca State. In the Milpa scenario, there were also several samples of live plants of maize, bean and squash native to Mexico, to decorate and also to allow the attending public to know the plants of the main crops of “La milpa” or “The Three Sisters”. During this session, participants held aroundtable of discussions. The participants were: Dr. José Alfonso Aguirre Gómez, Dr. Robert Bye, Mr. José Salvador Rivera Chávez, Ms. Terrylyn Brant of Canada, the farmers Juan Luna Guerrero, Aldis Gerber, Lucio González Ramírez, José Luis Torres Mendieta and Arnulfo Escalante Miguel. Some attendees also joined the roundtable, like Miss Priscila, a student of Brazil, as well as some professors and students from the University of Guadalajara who attended the colloquium, and Dr. Juan Manuel Pichardo Gonzalez, organizer of the “La Milpa Forum”. The central topics of the roundtable: 1) Organic agriculture, 2) Seeds, 3) Cultural values ​​in conservation 4) The Family, and 5) Sustainable agriculture. The moderator at this colloquium was Dr. José Alfonso Aguirre Gómez. They agreed to discuss each topic in 10 minutes, although in the topic seeds, the discussion lasted about 20 minutes. In the topic of organic agriculture, the participants spoke about the need to carry out a sustainable and environmentally friendly agriculture where they can make use of residues from harvested plants, composting and application of manures managed properly, among other alternatives that were mentioned. In the topic seeds, the participants talked about the predominant system of seed production in the country, dominated by international seed companies. However, regarding traditional systems, it was emphasized the farmers produce their own seeds for the following cycle.. It was also pointed out the need to continue to support the custodians of seeds mainly custodians of native maize landraces. Finnaly, the group agreed that mechanisms should be sought for small farmers and seed custodians to be supported by government programs for in situ conservation of genetic resources. Seed conservation systems were also discussed in this topic, in which inexpensive systems such as silos, hermetically sealed plastic bottles, can be used. Regarding this topic Ms. Brant from Canada, shared how in her community they keep seeds by placing them under the ground during the winter time. Regarding the topic of cultural values in conservation, it was mentioned that cultural activities related to traditional agriculture, such as religious ceremonies that are related to planting and harvesting dates should be preserved. In this topic, Ms. Brant re-emphasized the importance of continuing to preserve religious and spiritual rituals and ceremonies and showed to the participants of the colloquium a ritual that she and her community do in the agricultural production system. In relation to the family, it was recognized its role as the basis of all activities that man does and it was mentioned the importance of promoting all the values that contribute to the whole society, living in peace and working in harmony. Finally, regarding the development of sustainable agriculture, the importance of conducting agricultural practices environmentally friendly was recognized. a) To have good information on sustainable agricultural production systems in such a way that the farmers can make good decisions. b) It is advisable to invest in human capital for the development of traditional production systems. c) To take advantage of the skills and encourage the good attitudes of the extensionist. After the round table was over Dr. Bye showed a video related to the elaboration of “Pinole” and “esquiate” (processed corn foods) in communities rarámuris of Chihuahua and also explained the elaboration of preserved food derived of flowers and fruits of pumpkin which are elaborate by people of these communities. 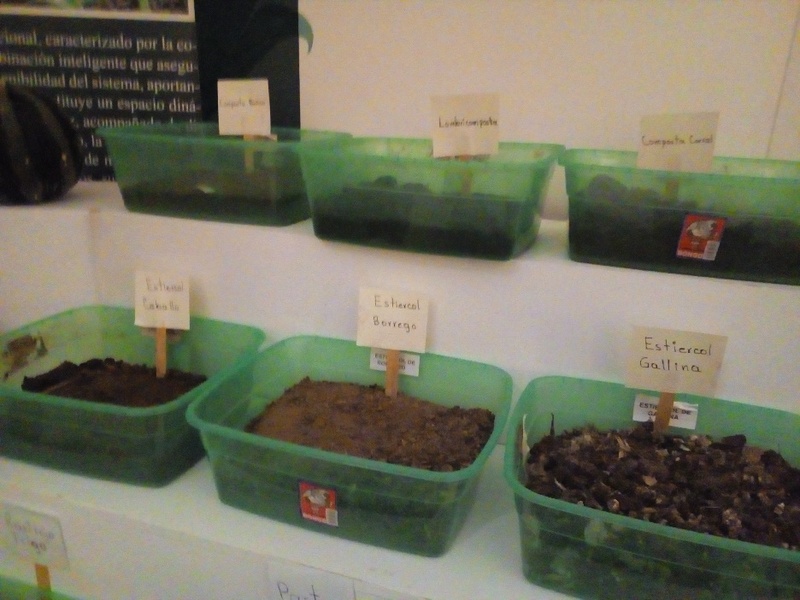 On this last day, there was an exhibit of some samples mazie landraces, bean seeds and pumpkin seeds from the state of Oaxaca, presented by Mr. FlavioAragón in La Milpa Forum”. Through this forum, the willingness to collaborate among all the participants was strengthened seeking common objectives.